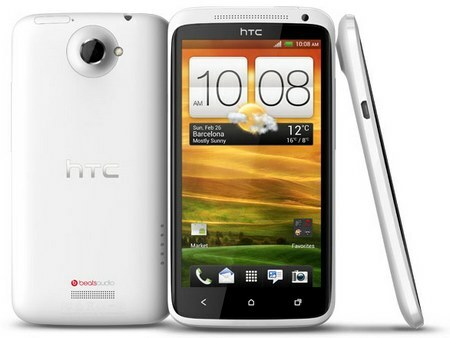 HTC, 2 days back, announced the new Special Edition of the HTC One S which is white in colour and has got 64 GB on-board storage which makes it much better. This new smartphone has the same specifications as the regular HTC One S model but has been priced to about $615 (Rs 32,600 approximately). Its just the 64 GB of internal memory which has been swapped. The special edition One S sports a 4.3-inch qHD display, powered by the Qualcomm’s 1.5 GHz dual-core Snapdragon S4 processor bundled up with 1GB of RAM, 8 megapixel camera and more. Nothing’s changed here internally other than the 64GB of storage. It measures 7.8 mm slim and has the same unibody clamshell design. HTC has integrated the Beats Audio technology for crisp and clearer audio output. Other features include Bluetooth 4.0 with aptX, WiFi, DLNA, MHL, micro USB port and a 1650 mAh non-removable battery. The HTC One S Special Edition will run Android 4.1.1 Jelly Bean with HTC Sense 4+ user interface. That means the Android 4.1.1 Jelly Bean update can be expected any time by the end of this month. This new One S Special Edition has been announced for Taiwan at this moment. There is no info regarding the global release of the same. 0 Respones to "White HTC One S with 64 GB storage announced"